Bring your picnic blankets and chill out to the grunts and groans of some of the best climbers in the world. We have bouldering, alpine and even trad climbing in Australia. 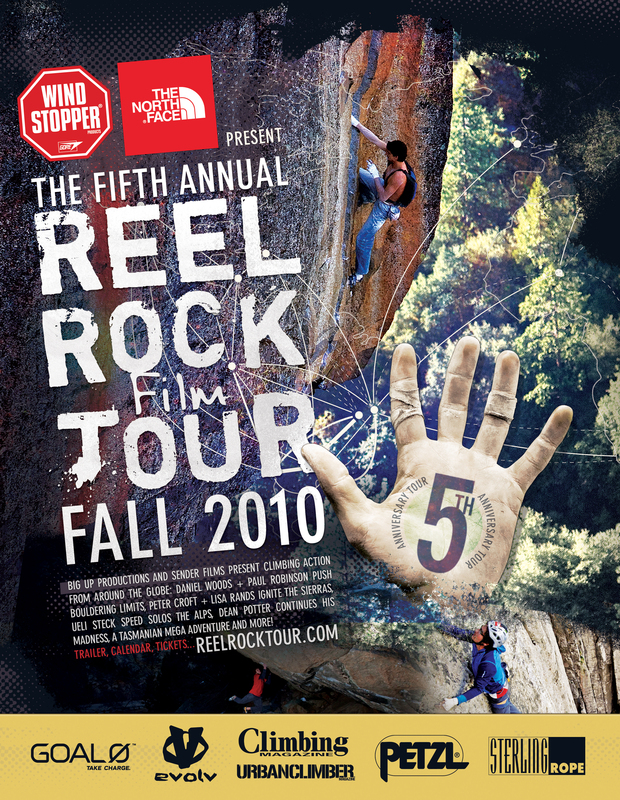 Inspiring climbers include Potter, Rands, Honnald, Sharma, Steck and more in a series of movies shown in the fifth Reel Rock Festival 2010. Yes it is a free event. Yes you can bring grandma and the kids. Thanks to the support of Morland Council we are bringing these movies back to the stage in a free outdoor cinema event at the Wilson Bouldering Wall, Wilson Avenue, Brunswick. The show starts at 8pm and runs for over an hour and a half. First Round First Minute (7 mins)—Since Chris Sharma moved to the sport climbing mecca of Catalunya, Spain, he’s opened dozens of routes that are redefining high-end climbing. First Round First Minute gives an update on Sharma’s latest 5.15 first ascents, and tells the story of his epic battle with his latest ongoing project. The Hardest Move (15 min)—Daniel Woods and Paul Robinson compete to climb the hardest boulders ever scaled. An inside look at what it takes to push the difficulty envelope of this intense sport. Origins: The Hulk (15 min)—Peter Croft and Lisa Rands attempt a wild free ascent on the Incredible Hulk Wall in the Sierras – arguably America’s best (and least filmed) alpine rock wall. Croft, the most legendary of California’s crack masters mentors the renowned boulderer Rands as she explores alpine traditional climbing terrain. Down and Out, and Under (12 min)—A once-in-a-lifetime adventure expedition for first ascents in Australia and on the wild sea cliffs of outer Tasmania. Fly or Die (15 min)—Dean Potter continues his extreme vertical exploration, opening new freeBASE climbs, along with highline and wingsuit jumps in some of the most mind-blowing vertical footage ever captured. The Swiss Machine (30 min)—Ueli Steck may be the greatest speed alpinist the world has ever seen. In this film he tells the stories of his record-breaking ascents in the Alps, accompanied by stunning aerial footage of him racing up 8,000 foot alpine faces. Ueli joins Alex Honnold in Yosemite to attempt speed records there. His ultimate goal: take his one-man alpine speed game to the largest, highest walls in the world.